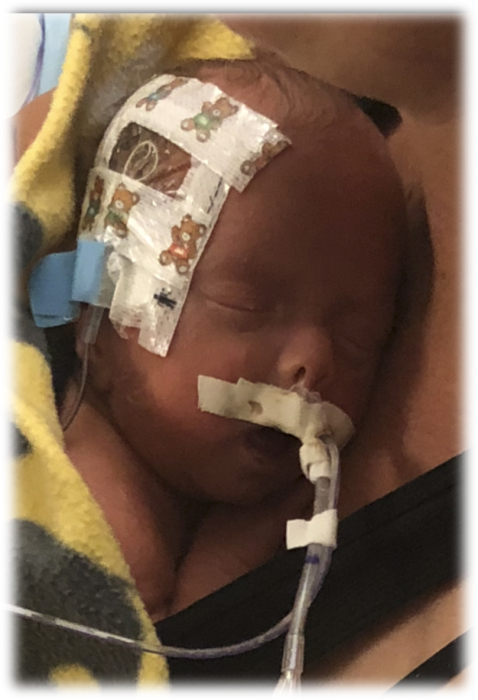 Bryant Ottes (Baby Bop) Pruett, infant son of Jason and Andrea Pruett, of Calamus, IA, passed away while in his parents’ arms, on Wednesday, September 5, 2018, at the University of Iowa Hospital in Iowa City. A funeral service will be held at 10:00 a.m. on Monday, September 10, 2018, at Vandemore Funeral Home & Crematory, Geneseo. Deacon Harley Chaffee will officiate. The family requests that baseball attire be worn to the funeral service. Burial will follow at Knoxville Cemetery in Knoxville, IL. Following the committal service, the family invites friends and loved ones to join them for a luncheon of celebration at the Knoxville American Legion. Visitation will be held from 4:00-6:00 p.m. on Sunday, September 9, 2018, at the funeral home. Memorials may be made to the Bryant Pruett Memorial Fund, to be distributed among several charities that have been helpful to the family. To Bryant, who would have been our future Grand Champion pig showman, and Chicago Cubs All-Star Player, we love you more. Those left to cherish Bryant’s memory include his parents, Jason & Andrea Pruett, sisters, Shelby and Tenley, grandparents, Ron & Jeanne Wilt, of Walnut, IL, and William & LuAnn Pruett, of Gilson, IL, great-grandparents, Dean Ganshow, Dolores Wilt, and Richard Pruett, as well as several aunts, uncles, and cousins. Bryant was preceded in death by his great-grandparents.